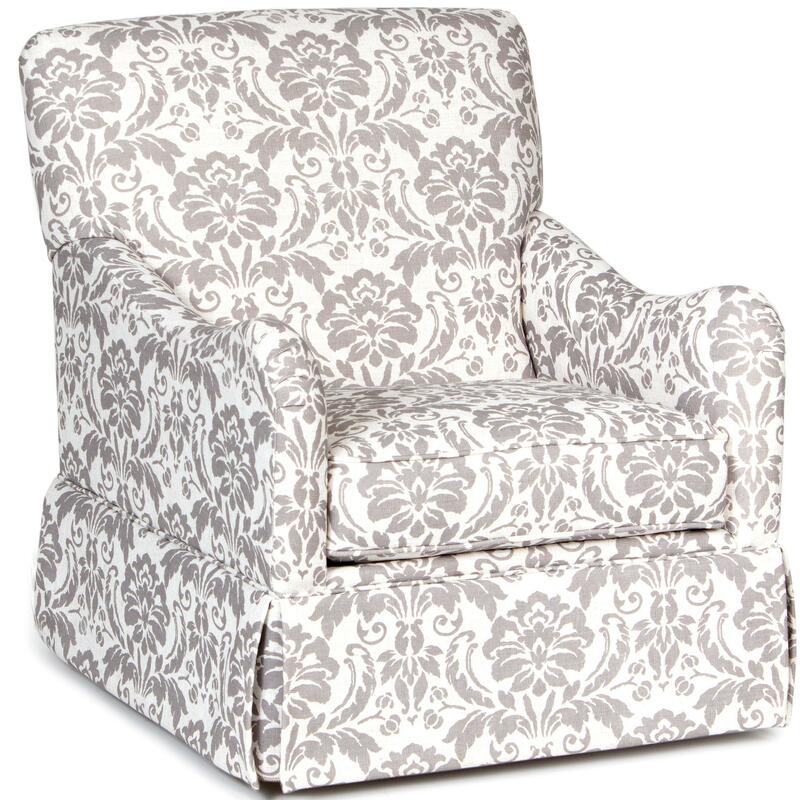 This glider accent chair brings charming style with a slight feminine feel to your home. Pleated detailing on the sloped arms highlight classic tailoring, enhanced by the skirted base. Designed with glider function, the chair moves with ease to help you relax at the end of the day. The Accent Chairs and Ottomans Traditional Glider Accent Chair with Skirted Base by Chairs America at Zak's Home in the Tri-Cities, Johnson City, Tennessee area. Product availability may vary. Contact us for the most current availability on this product. The Accent Chairs and Ottomans collection is a great option if you are looking for Traditional furniture in the Tri-Cities, Johnson City, Tennessee area. 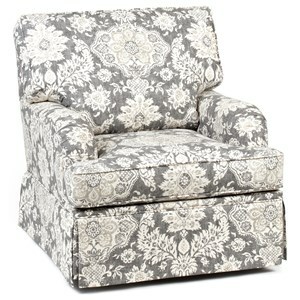 Browse other items in the Accent Chairs and Ottomans collection from Zak's Home in the Tri-Cities, Johnson City, Tennessee area.